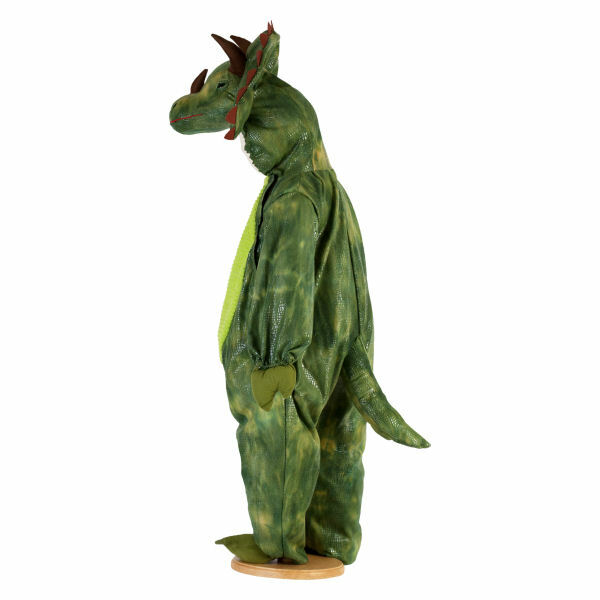 An all in one plush suit with hood. 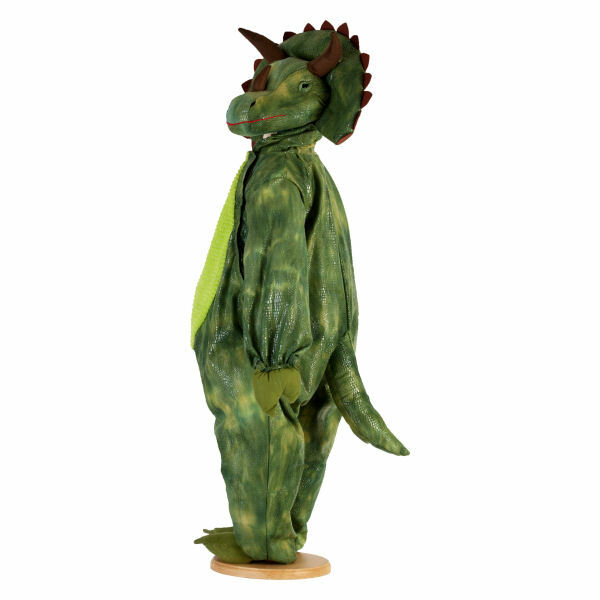 It has a big soft tummy and a featured hood with horns and spikes. 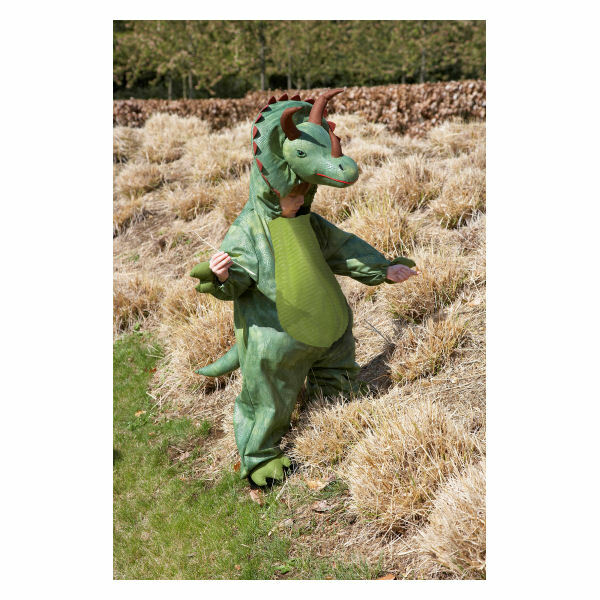 None specified at present for Triceratops Childrens Costume by Travis Dress Up By Design. 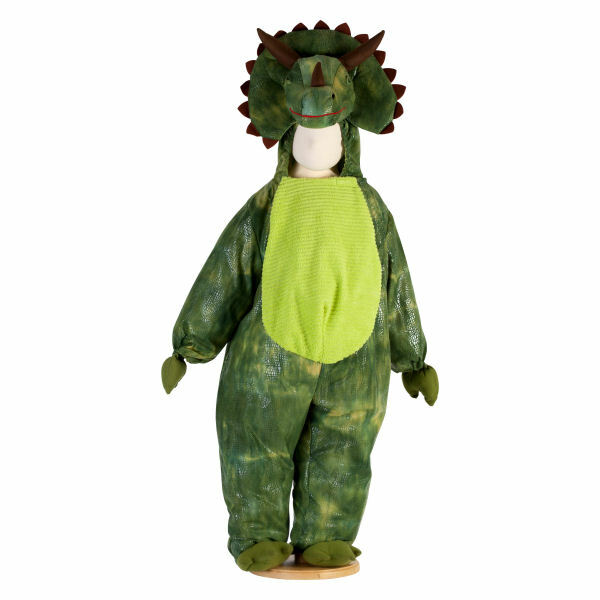 A plush Dinosaur costume with a big soft tummy and a feature hood with horns and spikes. Complete with a tail and fake (soft) claws.